Alex Rhodeen is Director of Disruptive Solutions for GEODIS and former COO of Kanga, a technology company solving on demand local delivery. His responsibilities include identifying, managing, and growing opportunities for GEODIS’ Same Day delivery solution. A veteran of the United States Army, Mr. Rhodeen’s executive career includes more than 10 years building start-ups and reorganized companies, including Mascotopia, a manufacturer of child-development products, and home furnishings retailer Lovesac. Joining Kanga in January 2014 Mr. Rhodeen has developed strategic partnerships with SMBs, Fortune 500 companies, and innovative logistics partners. Mr. Rhodeen earned a Bachelor of Arts degree from the University of Wisconsin – Madison. 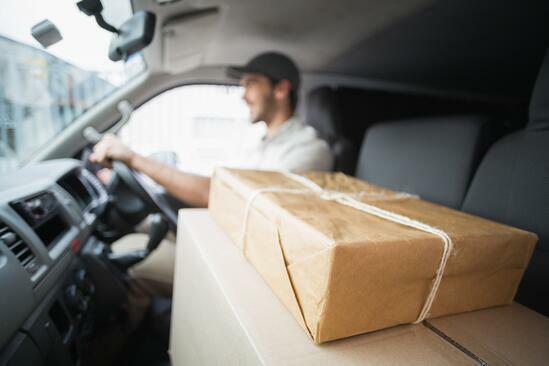 With peak season upon us and same day deliveries from U.S. retailers achieving record volumes let's look ahead to the growth of same day delivery in 2019 and the opportunities for retailers. Same day delivery is a basic consumer expectation but too often companies replicate other solutions rather than creating one that is best for their brand and customers. This episode of Talking Logistics highlights the need for a holistic approach to same day solutions. Last mile delivery is the end of a complex supply chain and the best opportunity for brands to make an impression on their customers. There is a face-to-face interaction that can make or break a customer's perception of a brand. The challenge for any last mile provider is handling an output from a process they have no control over. Creating a great customer experience in last mile delivery doesn't start with picking up the order, it starts with the internal process a brand chooses to manage its last mile solution. Customer expectations are growing in all aspects of the shopping experience and logistic companies are challenged to develop better solutions. Recently, at the Ecommerce Operations Summit in Columbus, Ohio Pulse Commerce presented data demonstrating the Amazon effect. There are many ways logistics, in particular last mile has changed due to Amazon. Before Amazon, customers only considered the online buying experience when choosing an online retailer. One effect of Amazon emerging as the leading online retailer is that customers now consider the after-purchase experience as crucial as the buying experience. Key components of the after-purchase experience are delivery and customer service. Agile, fast and free delivery services, real time information, returns and issue resolution are now essential to shopping along with the traditional price and online interactions. A positive experience in all aspects builds loyalty.